Shattered dreams and learning to love especially one’s own self is what the story of One, Two, Three… by Elodie Nowodazkij brought to you by Xpresso Book Tours delivers. 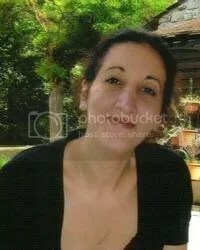 Scroll down for “Choosing my own magic” a guest post by Elodie, an interview and fun facts where the author talks about being French, living in Germany and writing in English, and don’t forget to enter the Rafflecopter giveaway (US & Canada only) to win goodies! 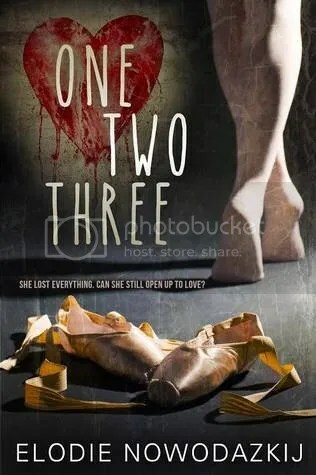 ONE, TWO, THREE isn’t the first book I wrote but it’s the first one I felt like I wanted to share with the world (scary) and that was getting so many lovely reviews by the ones who read it. I got very close to getting picked up by a literary agent several times, I received great feedback from beta readers, critique partners and through contests but…the magic door stayed close. In the past months, I read a lot of books that I know would do so well with readers but for x or y reason haven´t hit the shelves yet. That´s when I realized that I could choose my own magic. That doesn’t mean I didn’t have to work hard on my book, or that it didn’t have to go through several editing rounds, copy editing, proofreading…That doesn’t mean I am guaranteed for my book to do well. I cannot wait for you all to get to know Antonio and Natalya! 1. You’re French and live in Germany…but you write in English. How come? I lived in the United States, in Maryland, for quite a few years, first as an “au pair” and then as a university student. I’m a proud Retriever and a proud Terps J, having received a BA from the University of Maryland at Baltimore County and my first Master’s from the University of Maryland at College Park. Writing in English just seems to be more “natural” for me. But maybe one day, I’ll write a novel in French too. 2. What was your inspiration for ONE, TWO, THREE? 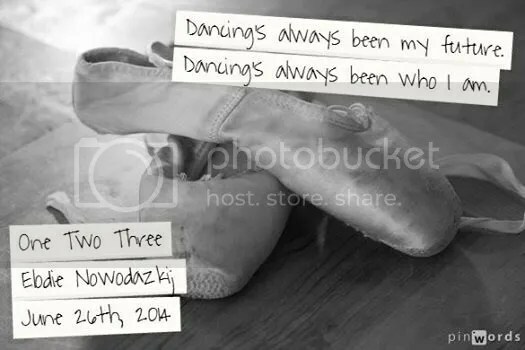 I used to love dancing ballet as a kid, and I won a writing contest to go see the Opera de Paris. We saw the dancers train, it was magical. Those moments stayed with me. Then, one day, I was talking about the movie Center Stage on Twitter and Natalya’s voice came into my head. At first, all I knew was that she was seventeen and an accident had killed her hope of becoming a professional ballerina…The accident turned into a car crash that also took her father’s life. Natalya’s voice was sad and broken, but full of want. From there on, it became her story. 3. The family from Natalya, the main character in your novel, originally comes from Russia. How did you do your research? The name of my main character was actually inspired from my mother-in-law, who moved to Germany from Russia about 20 years ago. My husband, who was born in the Ukraine, still speaks Russian with her, and I learned a lot from them. His family is the one who taught me there’s a Russian proverb for every situation, and some of Natalya’s favorite food is also mine. 4. Can we expect more books to come with Natalya & Tonio? Yes. But I’m not planning a sequel. There will be at least two companion novels to One, Two, Three. The first one will be published in November 2014. It will focus on Emilia, Nata’s friend at the School of Performing Arts. It’s entitled ALWAYS SECOND BEST, and you can already find it on Goodreads. The second companion novel will be focusing on Becca, Nata’s best friend. Publication will be in early 2015. Little fact: I wrote this book (mostly in the train) in 6 months back in 2012. And it has gone through several revisions since. Little fact: Like Natalya, I love pelmeni – but my favorite Russian dish is stuffed blinchiki (mostly with mushroom and mashed potatoes) yum! Little fact: Like Natalya’s father, my favorite composer is Chopin.